As well as being one of the most popular regattas in the whole of Asia, the Raja Muda Selangor International Regatta also has a unique quality about it because of its mix of offshore passage and inshore races. The regatta itself was the brainchild of sailing enthusiast and Royal Selangor Yacht Club (RSYC) member the Raja Muda of Selangor. The Raja Muda Selangor International Regatta is made up of three passage races that take place overnight, along with harbour racing that lasts three days. The harbour races take place in Penang and Langkawi, while the overnight races take place over a combined distance of some 260 miles. The range of sailing vessels taking place in the regatta are very diverse, and include classic cruisers that date back more than a century right up to high quality IRC1 racers. The race is challenging, because, over its 9 days, the weather can be hard to predict. The tropical islands in the Melaka Straits, on the west coast of the Malaysian peninsula, make for a beautiful backdrop to the races. 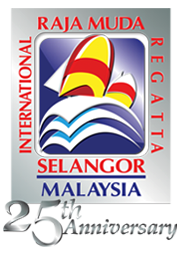 Racing at the 2014 Raja Muda Selangor International Regatta begins on November 15th with a race from Port Klang to Pangkor. The race’s prize giving takes place the following day in Pangkor. On November 17th there are races from Pangkor to Penang, and the next day sees Penang hosting rickshaw races. On the 19th of November the inshore races at Penang begin, with two races for classes one, three, four and seven. While there is one race for classes two, five and six. Prize giving take place on the same day. Races from Penang to Langkawi begin on November 20th, and the inshore races begin on November 21st from Langkawi. There are two races for classes one and three, and one race for classes two, four, five, six and seven. An inshore race from Langkawi is the final race at the regatta, and takes place on November the 22nd, with two races for classes one, three and four. There is one race for classes two, five, six and seven. An awards party at the RLYC is the regatta’s final event. Airlie Beach, for those of you not in the know, can, of course, be found in the Whitsunday region of Queensland, Australia. It is the gateway to the stunning Whitsunday Coast and the Great Barrier Reef. 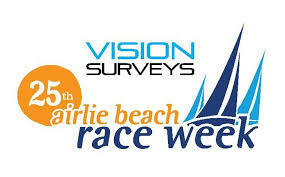 Every year the sailing community and Whitsunday Sailing Club of Airlie Beach hold the Airlie Beach Race Week. This year the race week will run from Friday 8th August until Friday 15th August 2014. The first Airlie Beach Race Week was conceived as a way to promote the new Hog’s Breath Cafe. Don Algie had been sailing his classic 55′ sloop Storm along the Whitsunday coast in 1987 looking for a location to set up the first Australian Hog’s Breath Cafe. He settled on Airlie Beach and being a sailing enthusiast, what better way to promote a new venture than to sponsor a sailing regatta. After talks with the Whitsunday Sailing Club the Hog’s Breath Cruising Classics was born. 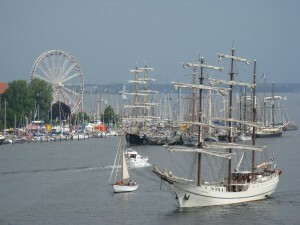 Due to the success and popularity of the regatta it soon became a week-long sailing regatta. This year will be the 25th year the Airlie Beach Race Week has been running, and it still shows no signs of slowing down. With water temperature averaging 28 degrees and daytime temperature averaging 29 degrees, fabulous weather and stunning scenery, you’d be mad not to add Airlie Beach Race Week to your racing calendar. It doesn’t matter if you are a hard-core racing fanatic or a cruising enthusiast with a less serious racing attitude, the race week has classes for everyone. A race week wouldn’t be a race week without parties aplenty, and Airlie Beach Race Week is certainly not going to be an exception. You will be hard pushed to return from a hard days racing and relax with a quiet drink! There seems to be a party every night of the week. There is, of course, Lay Day when it is suggested you visit the Whitsunday Sailing Club for a relaxing drink….like that’s gonna happen! The Heineken Regatta 2014. This regatta is now in it’s 34th year and the dates for this year are 6-9th march 2014. So what is the Heineken Regatta 2014? It is a regatta held on the island of Sint Maarten and hosted by The Sint Maarten Yacht Club. This year the club will play host to more than 32 countries and around 200 entries. This makes it one of the largest regattas in the Caribbean. The regatta is open to the following classes: Spinnaker; Non-Spinnaker; Bareboat; Multihull; Gunboat and Open Class. No Caribbean Regatta would be the same without the after sailing parties and social gatherings and the Heineken Regatta 2014 will be no exception. The parties are legendary and visitors and sailors alike will cram the island of Sint Maarten to hear steel drums, Soca rhythms and racing stories abound. The regatta culminates with the famous prize giving ceremony on the final Sunday night. Lovesail.com is a global dating and social networking site specifically for sailing enthusiasts. Members from around the world come together on the site to arrange trips, holidays, social events and dates. We are a friendly and personable site. Our members are from all walks of life and have a range of sailing experience. If you would like to take a look then visit lovesail and start a free account. If you are an experienced sailing enthusiast then meet up with others with a similar passion. If you are new to sailing then join us and gain more experience meeting others or crewing. Lastly if you are looking for a partner with similar interests or someone to sail the world with you, then this could be where you find them! The dates for the 2014 Bay of Islands Sailing Week: Registration January 21. Racing January 22, 23 and 24. The Bay of Islands Sailing Week is a premier sailing regatta in New Zealand. It takes place in the Bay of Islands which is situated in the Northland area of New Zealand. 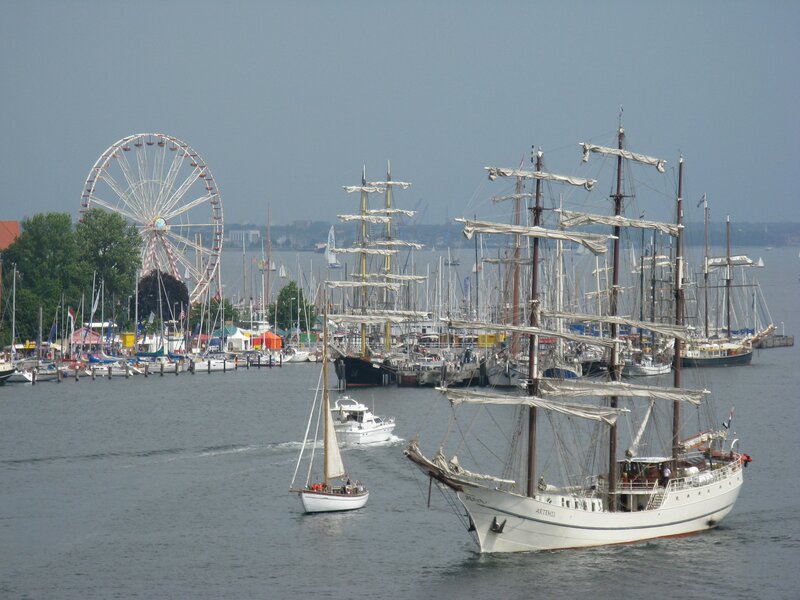 It is an annual event taking place over three days and is open to keelers, multi-hulls, trailer sailers, sports and open keelboats. Last year the regatta was awarded the President’s Award at the 2013 Volvo Yachting NZ Excellence awards. This award recognises the work done by a yacht club, individual or organisation in promoting, supporting or developing the interests of yachting in New Zealand. 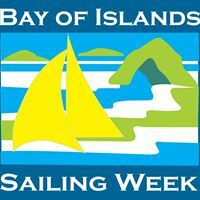 For more information on the Bay of Islands Sailing Week just visit their website. Lovesail.com is an on-line dating, friendship and crew site for sailing enthusiasts. If you want to meet other single sailing folk for dates, friendships or crewing opportunities then why not join us today? We have members from all walks of life and from all over the globe, but all with one thing in common…….a passion for sailing.